For your convenience, a staff member may call you so you can register ahead of time. Upon arrival, you still will need to stop in the Registration/Admitting Department briefly in order to sign paperwork. 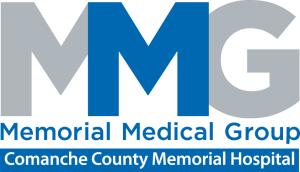 If you are coming to Comanche County Memorial Hospital for an outpatient procedure, test or treatment, please register in the Outpatient Center Registration Center. Depending on your procedure or test, you may want to have a family member or friend drive you home. Your comments or concerns are important to us. If you have a need that we may assist with, we encourage you to call Guest Relations at extension 3819 between 6:00 a.m. and 5:00 p.m., Monday through Friday. If you have an urgent need after these hours please call the operator by dialing “0” and ask to speak to the Administrative Supervisor. Your attending doctor – the doctor responsible for coordinating care while you are in the hospital. 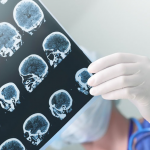 Consulting doctors – your attending doctor may ask other doctors (e.g., surgeons, specialists, your family doctor) to help with a certain part of your medical care while you are in the hospital. Medical students (currently completing four years of medical school). Residents (finished medical school and in residency training). Nursing staff (including nurses, patient care assistants and technicians, nurse practitioners, case managers, and educators). Other care givers (social workers, discharge planners, dietitians, pharmacists, respiratory therapists, physical and occupational therapists). The lab technician may come into your room in the middle of the night to draw blood. This helps us get the bloodwork results back so your doctor can see them on morning rounds and coordinate your care more efficiently. You have the right to treatment of pain during all aspects of your care. We are committed to working with you and your family to help manage your pain. We believe you are the expert on your pain. You can help by telling us about your pain and by working with us to develop a treatment plan that is best for you. talk to your doctor or nurse about your pain and pain relief options. ask them what to expect regarding pain and pain management. work with your doctor or nurse to develop a pain management plan. ask for pain relief when your pain first begins. help your doctor or nurse by describing your pain. tell your doctor or nurse if your pain level is not relieved or acceptable. tell your doctor or nurse about any concerns you have about taking your pain medicine. Palliative care is a team approach to managing patients with progressive and potentially life limiting disease or illnesses. The palliative medicine team works with your doctor to provide “whole person care” to meet your physical, emotional, social and spiritual needs. The palliative medicine team will address your current or potential uncomfortable symptoms, help you define your wishes and honor your wishes by facilitating discussion about healthcare decisions throughout the course of your illness. If you think you may benefit from a palliative medicine consult, talk with your doctor. Chaplains are available to provide spiritual and emotional support, as well as communication support as it relates to medical decision-making, patient rights and medical ethics. Upon request, we will notify your minister, priest or rabbi of your hospital stay. To request a chaplain, please ask your nurse or call Pastoral Care at 580.355.8620. The chapel and a small private meditation room are located near the main lobby. An interdenominational religious service is offered on Sunday at 10:00 a.m. and Wednesday at 11:30 a.m.
We want you to be a part of your care. Our healthcare team will keep you informed about the outcomes of your care, treatment options and home care. There are many educational materials (videos, written handouts, etc.) available to help you understand your disease/condition, tests, care, treatment or medicine. If at any time you have questions about your care, ask your doctor or nurse. We encourage you, your family and the community to use these resources to find out more about your health. Our healthcare team works together and wants to make sure your special needs are met and your concerns are addressed. If you have questions or need assistance in any way, please talk with your doctor, nurse or the department manager. Our staff is dedicated to providing you with the highest quality healthcare. To recognize an employee or physician for excellent customer service, please feel free to complete a Caught You Caring recognition form. These forms are available on nursing units, in hospital departments, and at the Guest Relations desk. Your comments are appreciated and they will be shared and celebrated with staff. We encourage you to leave valuables (jewelry, money, credit cards, checkbooks or anything else of value) at home or with a family member. Valuables can be locked up in Security (614) 566- 4400. Lost and found services are provided by the Security Department. You are the reason we are here and we value your feedback as customers. Within a few days of your discharge you may receive a patient satisfaction survey. Please help us by completing and returning this survey so we may continue to improve our services. After you go home, we encourage you to continue to seek information and support about your disease, treatment and healthy lifestyle. You will get a copy of your hospital bill a few weeks after your hospital stay. You may also get other bills from your doctors(s), including your family doctor or specialists. If you have any questions on your hospital bill, please contact us at 580.355.8620 and ask to speak with the Billing Department. Please complete a “Release of Information Form” at the Health Information Management department on the ground floor of the hospital.  If you would like to make a monetary gift to recognize a member of the hospital staff who has provided special care or comfort, or to otherwise contribute to Comanche County Memorial Hospital, please contact the CCMH Foundation, P.O. 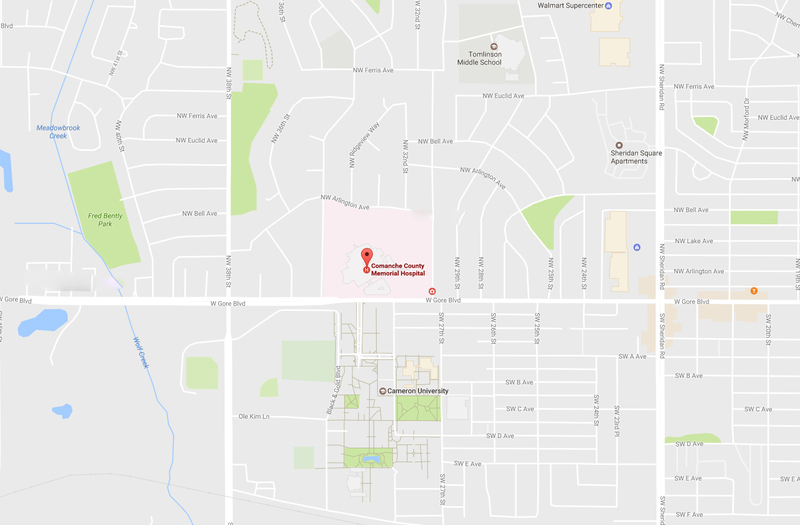 Box 478, Lawton, OK 73502, 580.585.5406. 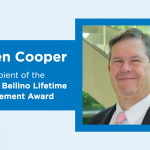 Our family of volunteers dedicates tens of thousands of hours of service to patients and their families each year. Volunteers provide a variety of services, such as working at the information desks, delivering flowers, magazines and newspapers to patients and acting as liaisons between the staff and families in the criticial care areas. If you would like to be a volunteer or would like more information, please call 580.355.8620 and ask to speak with Guest Relations or fill out a volunteer request form.